This ebook will show you an easy way to earn extra cash on shares you already own, using covered call options. Including: How to use the strategy to earn big cash pay-outs using shares you already own; a way to beat the market no matter if the market swings up, down or stays the same; three share tips to help you get started if you don’t own shares already and how to get started using the 'ATM Stock System' in less than two days. Discover the simple strategy to earning consistent 'bonus' cash pay-outs of R422.18, R594.50, even R638.40 and more from shares you already own! So what if you don't own any shares yet? To help you get started, I’ve hand-picked three great blue-chip 'starter shares' for you to buy right now - Along with instructions on how to buy them - And how to activate your free bonus cash payouts from these shares using my simple 'ATM' strategy. All the details are contained in my new special report! Simply scroll down to claim your copy now! For the first time ever in South Africa, investors sitting with shares in their portfolios are able to turn their shares into stock market ATMs. That’s right… Hundreds of investors, just like you, are getting free bonus pay-outs of R422.18, R594.50, even R638.40 and more every couple of months. And they’re getting these cash pay-outs numerous times a year! It's all thanks to a little-known super-simple income-boosting strategy that can anyone can apply right now, today, if they just knew it existed! If you own shares, you too could also banking regular cash-payouts of R422,18, R594,50 and R638.40 as soon as next month - thanks to this little known (and completely legal) way of doubling-up on your share returns! My name is Jonathan Bachrach. 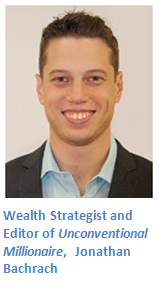 You may know me as the writer behind FSP Invest’s Unconventional Millionaire newsletter publication. My 8,500 readers know that I’m constantly on the prowl for great unconventional income-creating opportunities that others haven’t discovered yet! “I think your method of selecting top shares using your guru strategy is absolutely fantastic, and have never ever seen anything like it before. You see, I love helping people in all aspects of their lives... Especially the stock market! Every day I read all the financial media and analyse countless shares to find the winners. And using my strategy I’ve consistently tipped shares which have almost doubled the market’s performance! consistently soars higher than the market! I'm sure you'll agree, when it comes to making money from shares I know a thing or too. But that's not good enough for me: You see I'm always looking for ways to do even better - to make even MORE money for my readers. And its this consistent search for knowledge that lead me to the little-known simple strategy for boosting your share returns with regular payouts of R422.18, R594.50, R638.40 and more - that I want to share with you today. I call it my 'ATM' strategy - because that's exactly what it does. You see, when you use it, you turn your buy and hold shares into your own personal money-printing ATM - an ATM that pays you out on a regular basis too! Quite out of all the money making opportunities I’ve looked at over the years, this genius method of doubling the income you receive from your shares is one of the most exciting I’ve found yet! My ATM strategy makes all this possible. And it’ll take you less than one hour to master it. 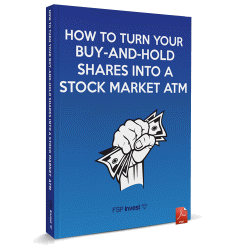 I've put al the details on my little-known money-printing method for doubling your share returns into a special report, called How to turn your buy-and-hold shares into a stock market ATM. My unconventional method to to banking consistent streams of income in the stock market. By using my little- known 'ATM' method you'll be able virtually double the income you get from your buy and hold shares in less than a year! How to win in any situation the market throws at you. Investing in the stock market can be risky if you don’t know what you’re doing… But I’ll show you that even if the markets plummet you’ll still do better than other investors! How to get started printing - and banking - FREE money from the shares you already own today - every couple of months! You can take advantage of all these opportunities in less than two days! three of the very best blue-chip shares on the JSE for you! To jump-start your profits, I’ve included research on three shares that are set to soar in 2014. Each one of these three shares is craefully selcted using my prooven Unconventional Millionaire share-selection system I showed you earlier and is set for double-digit gains in 2014. Even better each one of them pays a top-40 sized dividend to boot! And if you use my 'ATM strategy' in conjunction with these three shares, you could also DOUBLE your dividends on them before the year is out! How much are you willing to pay to DOUBLE your income from your shares? How much are you prepared to pay for the knowledge to be able to do this year in and year out? R2,000? R1,000? R500? Not even close! Order in the next 48 hours and you’ll have the secrets of this strategy for just R245. I believe that straight after you’ve read this report, you’ll easily make gains of R480.30, R522.50 and even R630 in less than two days! That means you could make back the money you paid almost instantly! The secret to tuning your shares into a virtual ATM is just a click away! P.S: I really want you to try this – that’s why, when you order your copy of my How to turn your buy-and-hold shares into a stock market ATM today, I’ll give you a 14 day money back guarantee. If, for whatever reason you feel this isn’t for you, simply return it for a full refund. No questions asked. "I never thought of using my shares like this before - it's brilliant to find out about this way to make extra income from my portfolio."